Schedule a Wedding Day trial followed by a dress fitting. Once your hair is styled, you can see how your chosen hair style and veil will look with your dress. If you color or highlight your hair, you may opt to add, define or adjust your tints in the weeks leading up to your wedding to properly balance with your wedding ‘do. 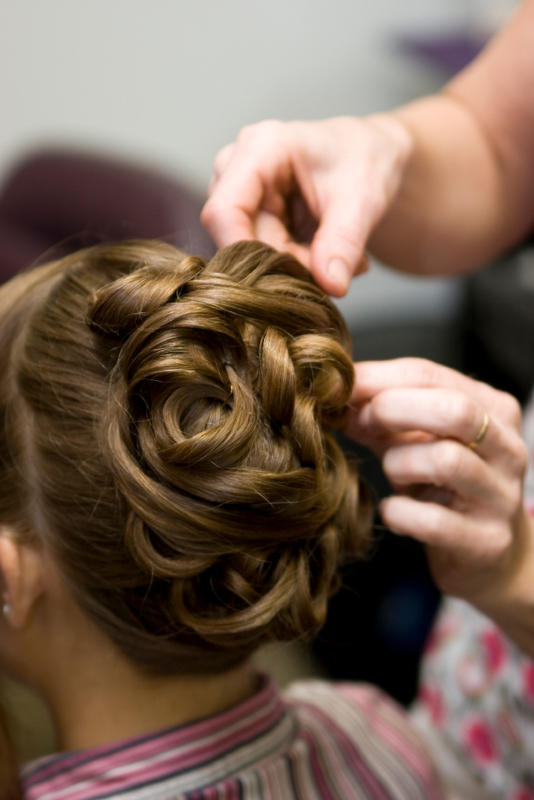 For your hair trial, follow the preparation advice from your stylist just as you would for your Wedding Day. Bring your veil or any accessories you plan to use in your hair. Keep track of the amount of time it takes your stylist to complete your look. Does the time frame align with the start and end time included in your agreement? If your trial takes longer than anticipated, adjust your agreement with your stylist and your salon. Your hair appointment can determine the timing of your entire Wedding Day, so it’s important to schedule it carefully as well as pad it with extra time.